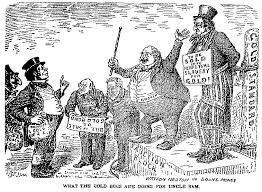 What is the Gilded Age Era? The Gilded Age took place in the late nineteenth and early eighteenth century. The Gilded Age was known for its accomplishments. Alot of americans started inventing, starting there business and even writing. Not everyone was very well impacted. Because of everything going on, it drew attention to alot of people in other countries. Alot of immigrants decided to come to America in a look for a jobs, make more money, etc.